The techniques I developed for painting on glass are multi-dimensional in appearance and can be created on canvas or board, as well. 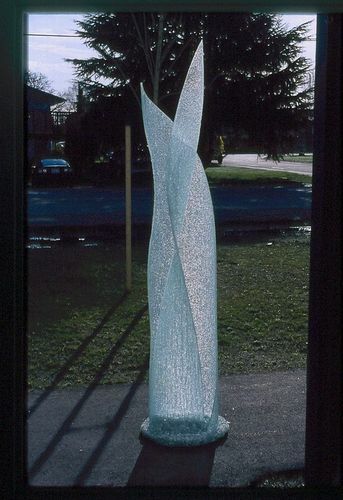 My patented formula for bending glass without heat allows me to create large glass sculptures without the limitations faced when using heat. Most recently I have been concentrating on holding workshops to teach the many techniques I have developed. I have many visions yet to create which I hope I can accomplish in this lifetime. 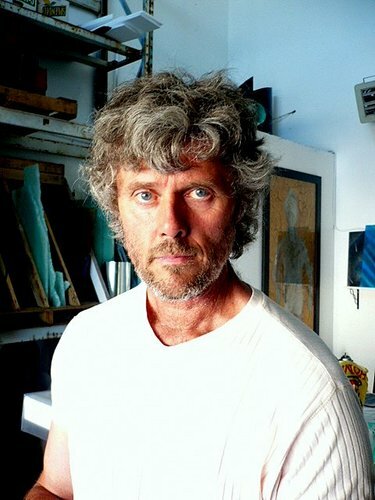 I reside with my wife and daughter and have a studio in Sidney, British Columbia Canada. 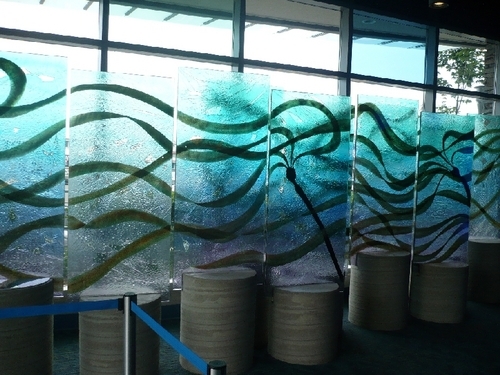 This sculpture was commissioned by the Shaw Ocean Discovery Centre in Sidney B.C to be the main lobby piece. It was designed to reflect the kelp forests beneath the Salish Sea. The sculpture was made from 24 reclaimed tempered glass shower doors that came in from China with the hardware holes in the wrong place. This is a typical installation where I take a large mistake and up-cycle it in to my work. I worked closely with the director of the centre, Angus Matthews, and renowned Aquarium Designer, Jim Peterson to capture the imagery that they also envisioned for the sculpture. The installation was a team effort involving many parties. Materials:	Reclaimed tempered glass and resins. This sculpture was created while being filmed for the Discovery Channelâ��s â��Daily Planetâ�� television show. I was contacted by them because they were intrigued with my patented process that allows me to bend glass without heat. It can still be viewed today on their broadband service under the title â��Heatless Glassâ��. 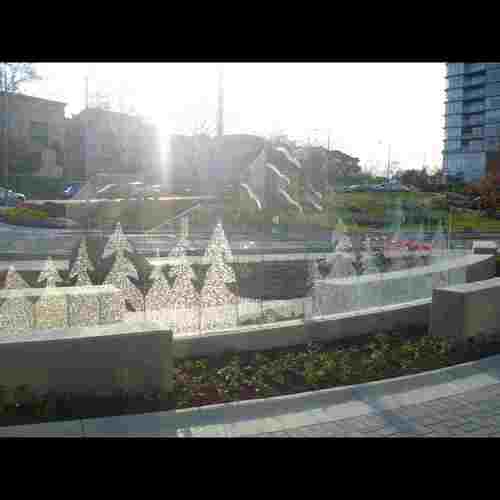 I was commissioned by VanCity Bank and Dockside Green Developments to create a sculpture that would fit the large scale of the location yet not hide the building behind. As well, the site is a designated LEEDâ��s project and I needed to use imagery and green materials to reflect this. 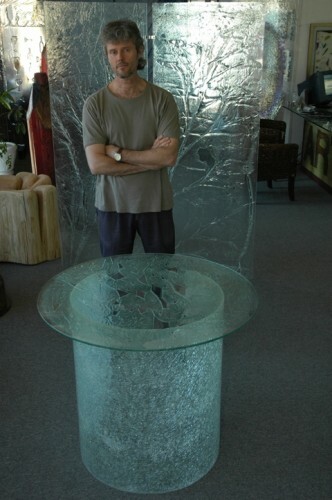 We achieved this by creating a glass cityscape with a â��shaped shatterâ�� forest laminated to it. This design represents bringing the forest back to the city. All of the laminated glass was reclaimed from a company that makes glass railings. The finished piece, depending on the time of day, appears and disappears.